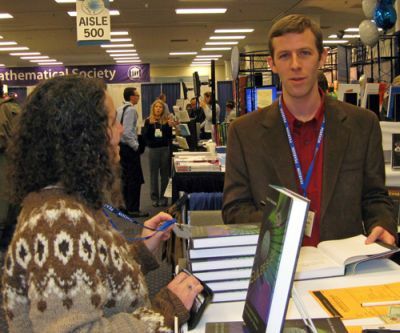 The Princeton University Press blog has some photos from the 2009 Joint Mathematics Meeting including a few pics from my book signing—cool! 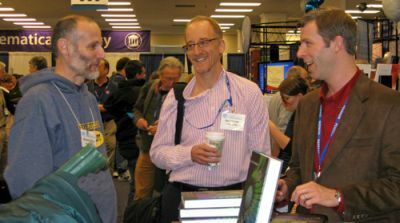 Mike Cherry (author of The Addventures Plusman), Barry Tesman, me. I just got a catalog from PUP with your book in it! I was like — that book looks familiar. And then I put two and two together. Yes, that’s me. The difference is, for the book I had a copy editor. Here on the Division by Zero blog, it is me, my writing, and all of its flaws.